Art therapy in the UK is a small, dynamic profession focused on art-based, client-centred psychotherapeutic work. 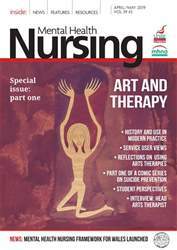 The British Association of Art Therapists (BAAT) is the professional body for art therapists and defines art therapy as ‘a form of psychotherapy that uses art media as its primary mode of expression and communication’. Within this context, art is not used as a diagnostic tool but as a medium to address confusing and distressing emotional issues.